This is my attempt at a complete listing of all 1999-2002 M Roadsters currently for sale. Click on each to see the full description, links to the listing, additional photos and some of my comments. 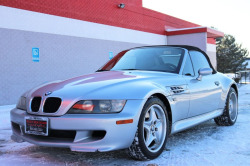 To see recently sold roadsters, click here. To see the "status unknown" roadsters, click here. 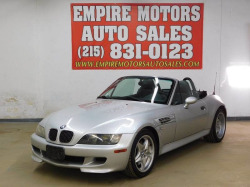 2000 BMW Z3M Roadster only 114k miles. Very good condition. Triple Black. Manual Transmission, super fun car to run the tight and twisty back roads! Ready for summer fun. No trades. Awesome blue roadster. Runs great. Very fast/fun car to drive. Everything works. One small crack in the front bumper boot. Lots of life left in the tires. Will be sorry to see it go....but I don't have room for it any longer. 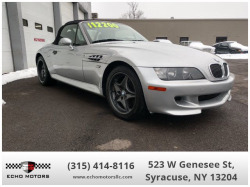 2002 bmw z3 M in platinum silver, 83,000 miles, This car is the M version with the S54 engine, developing 315h.p. 5 speed tans. , convertible top. 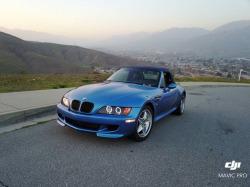 The last year for the Z3 and has all the advantages of the previous years. Destined to be collectable car. Original owner, excellent condition, always garaged, no accidents, non-smoker, title in hand. Dinan cold air intake, free flow exhaust and performance engine software. E36/7 chassis, S52 engine. WOW! ON THE WAY IN FROM FLORIDA!!! 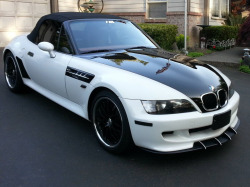 CHECKOUT THIS SUPERE RARE BMW M ROADSTER!!! SUPER CLEAN CAD A CLEAN CARFAX!!! LOW LOW MILES AND JUST AWESOME! 3.2L HIGH OUTPUT ENGINE, 5 SPEED MANUAL TRANSMISSION, M DEEP DISH ROADSTER WHEELS, AND JUST THE RIGHT ONE! DONT HESITATE THESE ARE VERY RARE! Low Miles! ADDED COMFORT AND CONVENIENCE OF POWER SEAT! LUXURIOUS LEATHER SEATS! Garage kept, runs great, new battery, great tires, some cosmetic fixes needed, paint in excellent shape. 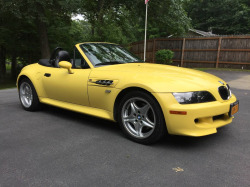 2000 BMW M Roadster, 99k miles, clean title, runs great, 5spd, Vortech Supercharger (work performed by Dinan) subframe has been reinforced, new convertible top, very well maintained. Have maintenance records and paperwork for the subframe, convertible top and etc. Serious calls only.